Welcome fellow Recovering Traditionalists to Episode 4. 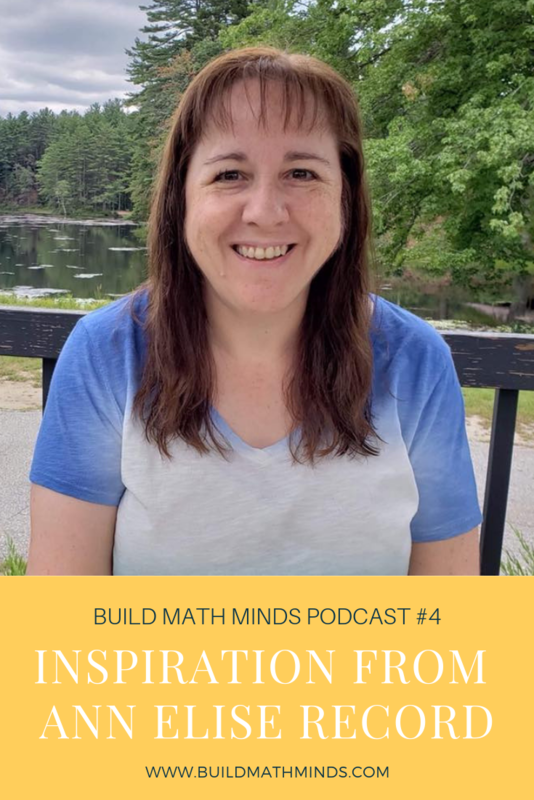 In this episode, we talk with Ann Elise Record to learn about her Recovering Traditionalist journey from being a 5th-grade teacher to helping other teachers build their math minds AND you’ll get her suggestion on what to do instead of timed fact fluency tests. Christina: Well before we move into this interview with Ann Elise, I just wanted to let you know that there is a special and not so lovely audio appearance by my dog, Bella, but I didn’t want to go back and re-record this interview because sometimes done is better than perfect. Towards the end, you will hear Bella who was very tired of being quiet while her mama recorded but I hope that you will still find great value in this interview with Ann Elise. Christina: Well, I am so excited to introduce you guys to Ann Elise Record. I got to know Ann Elise through her involvement in Build Math Minds courses. She was a very involved participant wanting to learn and grow in her understanding of how kids learn mathematics and we became fast friends and now she is actually part of the Build Math Minds team. I can’t wait for you guys to learn about her mathematical journey so welcome Ann Elise. How are you? Ann Elise: Thank you. I’m doing great, thanks. Christina: Awesome, so first thing I want you to tell everybody is kind of what is your role in education? Where did you start and where are you now? 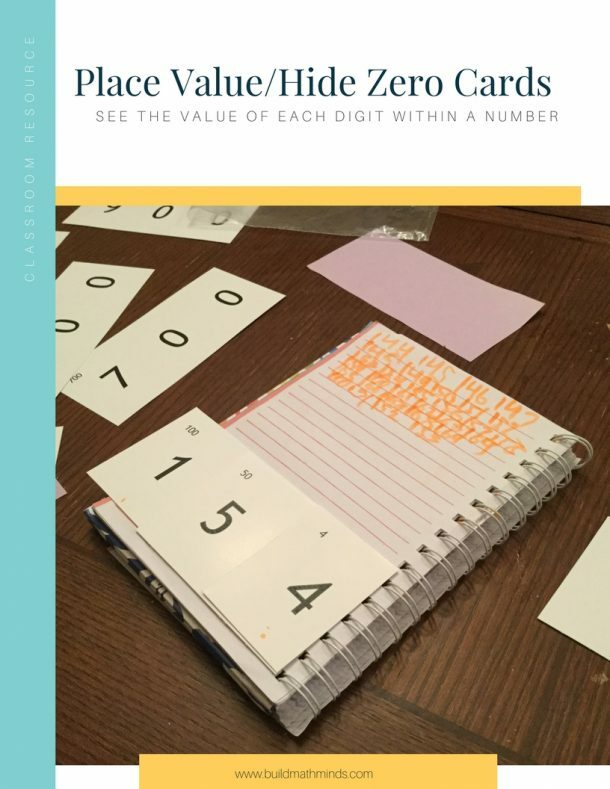 Ann Elise: Well, I was a grade five teacher in northern New Hampshire, in Berlin, New Hampshire, for 13 years, just taught that one grade level and then I became a math coach. At that point, I became a math coach for the K-2 building in my district and the 3-5 where I had been, so I was working with teachers and students K through 5. Did that for two years until the district was able to hire another one of me for the K-2 school, so I was able to focus just on my 3-5 school for two years, and then my husband and I had a change of life of moving away and then I embarked on a career of being an independent consultant now and I’m doing a whole variety of things, which has been super exciting. I’m continuing my learning journey, it never ends. Christina: It doesn’t, does it? I say all the time that the more that I know, the more I realize I don’t know anything. Ann Elise: That’s exactly it, which is exciting and it makes it never a dull moment. Christina: Yes. Okay, so in these episodes I really want to help people see kind of the transformation that you guys have made in your teaching around mathematics, so where I’d like to start is what was the teaching of math like before you ever got professional development? Like where did you start out? Ann Elise: My undergraduate degree was in sociology so coming out of college I was not prepared to be a teacher or anything. I went back to school to get my Masters in Education in order to teach to get certification through that program and I had taken several college classes in math so they took off any mathematics classes I would need to take in order to graduate and I was only required to take one math class and that was Math in Literature. Ann Elise: Coming out with my Masters degree in Education was certified to teach kindergarten through eighth grade, I could help kids learn math through readings and books. I was not given any instruction at all about how to teach kids math. I think it was assumed that I would go into a school and get a textbook and just follow the textbook, which is what we did. I mean, that’s what everyone did. We just followed what the curriculum was. We may have changed the order of some units or what not, but it was using the textbook and following the procedures in there. I was a procedural teacher because that’s all that I knew and I really cared … I’ve always loved math, I’ve never had a fear of it or anything. Ann Elise: I’ve always loved it and I really had a desire to make it feel understandable to the kids. I know got Base 10 blocks out but I would get them out like on day one and then the next day I’d say, “Remember yesterday when we used manipulatives?” Like they weren’t available to the kids all of the time, they were an integral part of the classroom, and I did mnemonics and things to help kids know the steps of long division and so the multiply, divide, bring down, the whole cycle. The keywords, oh my gosh, I had a beautiful keyword poster in my class. 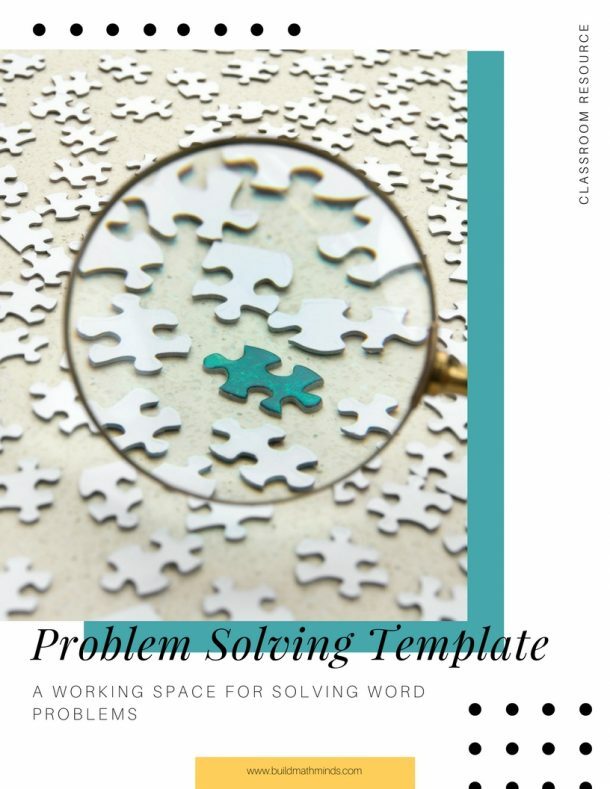 Ann Elise: I felt so … Well, I felt like I was really helping my kids because word problems was always the most difficult part and so I felt well, my keyword poster shows the whole operation to do. I literally had them highlight the numbers in the word problems and the last sentence for the question thinking that I was doing them this great service to help them be successful and I just cringe at the thought of how I used to teach math to those kids. Christina: I know. Your story is so similar to mine. Like we did what we could with the knowledge we had at the time. Christina: The next question is how has your teaching changed? Like what changed and why did it change? Ann Elise: Well, I remember we had a consultant come to my district, Dr. Tom … Dr., Tom Scherston was his name, and he taught himself math visually and so he was the first person that introduced me to the idea that we could teach math visually and using a variety of manipulatives and things, and it changed my own brain because I remember sitting there in a [inaudible] session with a friend of mine who really thought visually and she was breezing through all these problems and I was having a very difficult time. It was with pattern blocks and using the rhombus as the third of the hexagon as the whole and I was having a really hard time doing it, but the journey that I’ve gone on, like I now think differently. Ann Elise: It’s the way that I have learned with visualizing and teaching visualizing to kids, like my brain works differently and it makes so much more sense of what I’m doing now and the connections I’m able to make make so much more sense. In terms of using the concrete, pictorial, abstract progression of teaching concepts of helping develop flexibility of thought, and I can think about it in a variety of ways. I mean, like subtraction, all I ever did with subtraction was the regrouping method, like in terms of the algorithm when it came to regrouping. Ann Elise: I never thought flexibly about numbers, I was never encouraged with mental math to pick up some other strategies that might help me, that helped up my number sense as well as that, and so getting the correct answer had been like the goal, but now I’m all about the process and not that getting a right answer, yes, is necessary, but it’s not sufficient. I need background of flexibility of thought and number sense and reasonableness of why it makes sense and it’s a completely different journey for me now. The more that I learn, the more like this makes so much sense. Why didn’t I learn it this way in the first place? Why was this not the way we’ve been teaching math? Ann Elise: I’ve taught several collegiate classes for pre-service teachers and they all hate math. I asked them to rank it one to ten, they give it one to three, and then several … Two have asked me to give it a negative number, but then over the course of our class and talking about how we’re teaching math now, they’re like oh my gosh. Some have gotten very emotional. When I work with some people who are aspiring teachers who have a hard time passing the practice math exam, which is the one step that’s keeping them from becoming teachers, you know the anxiety and the stress is real and when I teach them these ways of thinking about it visually, honestly they cry because they’re like that makes so much sense, you know? And they spent their life thinking that they were not as intelligent as anybody else and [inaudible] self efficacy has been affected and I just think it’s larger than just basic foundation of math. It has the potential of setting foundation of math thought and people in their lives. It’s just a very powerful experience that I’ve gone through in my own learning and now with sharing with others is learning as well. Christina: The way that we learned mathematics ends up being the way that we teach it until something comes into our life that opens our eyes to a new way to do it. Christina: Unfortunately, for too many of us that’s when we’re an adult, right? Christina: We can’t teach math differently if we haven’t learned it differently ourselves. Christina: Yeah. Yeah, so there’s something that you are very, very passionate about that has changed a lot of the way that you teach kids and the way that you interact with how you want them to address the mathematics and that’s the Math Running Records. 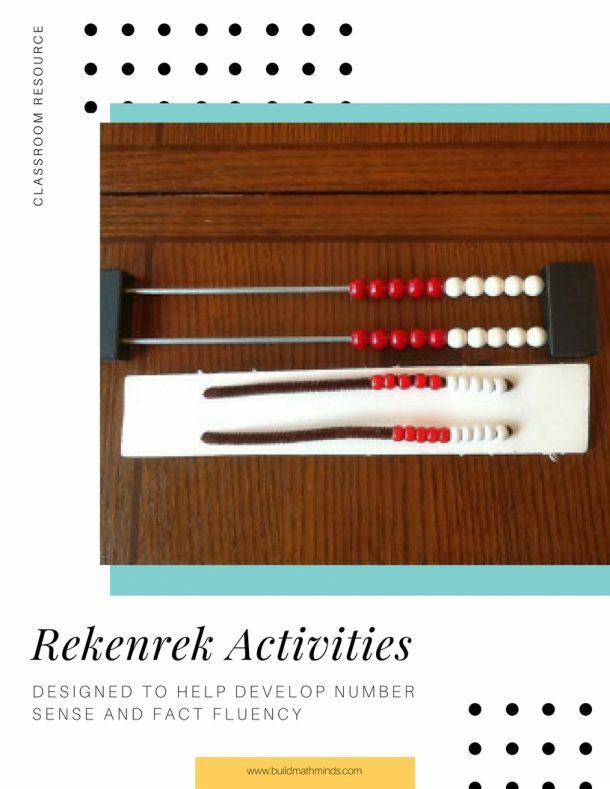 Can you tell a little bit about Math Running Records and why it has had such an impact on you and changed the way that you have students interact with mathematics? Ann Elise: Absolutely. In my fifth grade school, we require to put on the report card a grade for mathematics and it was need improvement, satisfactory, or outstanding. I remember giving those tests. There were 50 problems, it was timed, we then corrected it together, the kids calculated their answer. But I did nothing to help those kids, like the kids who got need improvement continued to get need improvement, the outstanding kids got their outstanding, and I remember trying to figure out how to help kids get better at this and I would try making like flashcards for the ones they get wrong so they could practice those but I had no other instructional response to help the kids with their fluency and it was getting in the way of the fifth grade mathematics of when we’re doing division, they had to be able to subtract and multiply and so the basic facts but in the way of the more sophisticated computational things that we were doing. It was a big problem. 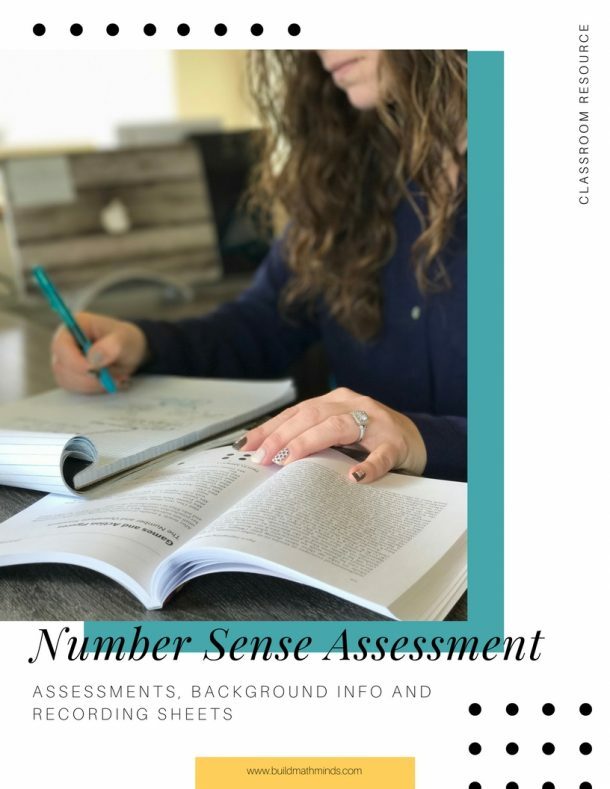 Ann Elise: Dr. Nicki Newton spent ten years researching and writing her book on Math Running Records and she offered a webinar on it before the book was even published. I took that webinar and it changed my life. I’m like oh my gosh, the Running Record is a one to one interview, it’s on basic facts but it’s so much more than basic facts. It’s the foundation of flexible thinking and it allows us … There’s a progression of strategies, one for each operation and so you’re able to in giving the interview, get a reading on yes, their speed and accuracy, which is traditionally what’s been thought for fluency, but their flexibility, their strategy thought, which is the most important piece. If you work on the strategy pieces, the speed and [inaudible] and the accuracy will help take care of itself because they’ll be thinking in larger numbers, building their number sense, and not counting by ones, which is really error prone. Ann Elise: The Running Record allows us then to zoom in on exactly where on the progression the kids need to be able to work and then to plan on instructional response. It gives us that answer of yes, the student is struggling but it’s not just that oh, they can’t subtract. It’s like well what can’t they subtract? Can they subtract zero? Can they subtract one? Can they subtract numbers within ten? 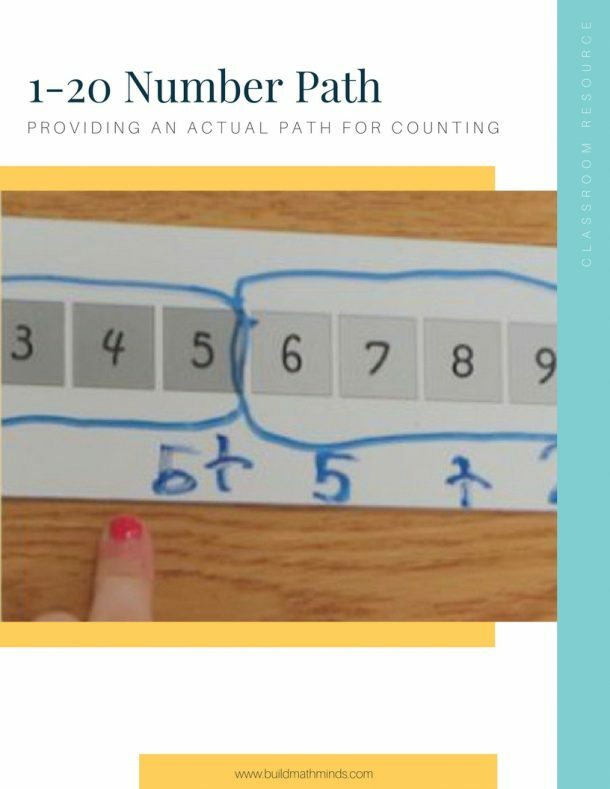 It allows us to zoom in on exactly where I can begin focusing my work with them and then to embark on a journey of exploring these strategies using math tools in concrete ways and then going to pictorial ways, and then finally with the abstract ways, but those very same strategies that work with the basic facts progress themselves to larger numbers and even fractions and decimals down the road. 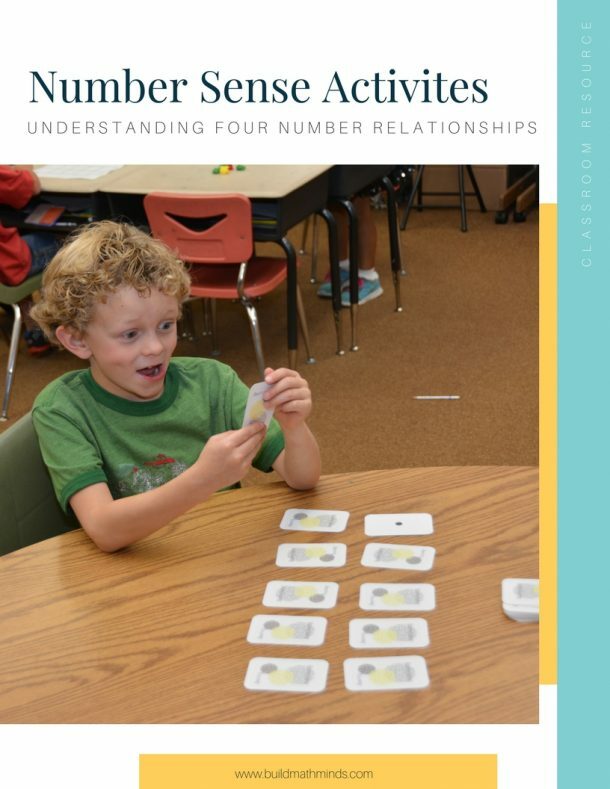 Ann Elise: It is so powerful of setting this foundation of this journey and there are also some various sophisticated things we’re looking for in the early numeracy, like are the kids … When they’re using their fingers. There are different ways they can use their fingers. Do they count all? Do they put up all the fingers so three plus two, they put up three fingers and two fingers and then count one, two, three, four, five. Or do they put up the five fingers but know oh, this is already three or five? Or do they just put out the four, five? Or do they do it mentally, four, five? Or do they just know it’s five? That’s the whole progression. Ann Elise: In the Running Record then we’re becoming aware of these behaviors of the kids so we can forward them down the road. I can’t take a kid from counting all to automaticity in one step, right? I need to be able to be aware of the progression of the development, which is based on research, and then be able to help them get to that next level within each strategy. By doing so though, then I’m able to then apply those using like number talks or doing mental math and it extends itself to larger numbers rather than going to the nearest ten … Go to ten, I’m going to go to the nearest ten or the nearest one hundred or the nearest whole for decimals and fractions. Ann Elise: Yes, it’s an interview sheet for basic facts but to me it is everything because it helps me teach everything, including the growth mindset that we all can learn and grow, including building the kid’s confidence as they’re working on these. We’re not throwing all the math facts at them in a very abstract way and saying memorize these and then they feel bad about themselves when they can’t memorize, like it’s a whole journey of providing that foundation of thought. Christina: Exactly, like the time tests for math facts have gotten a bad rep because of the way that we’ve done them in the past. Christina: But Math Running Records will replace that for you, like we still need to see our kids gaining fluency. 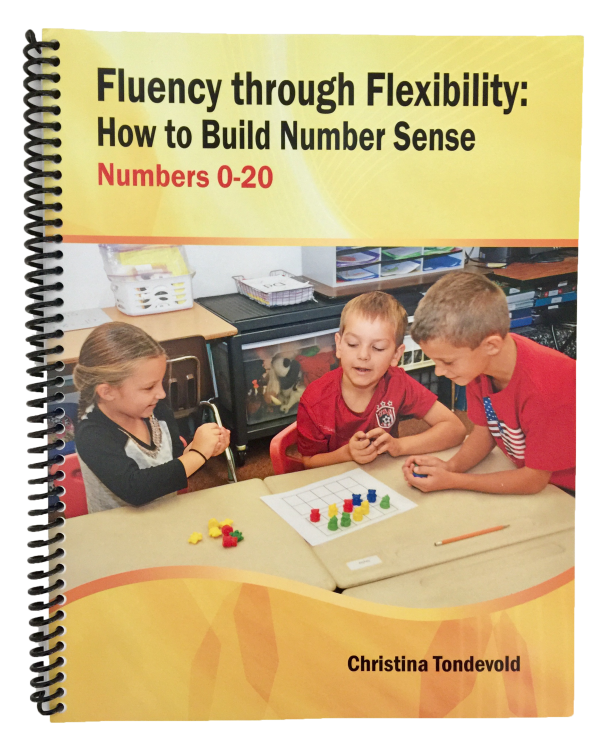 Fluency is an important piece that impacts a lot of mathematics but the way that we assess it definitely needs to change and that’s … I really love Math Running Records as well for that and Dr. Nicki Newton was the creator of that but Ann Elise has really done a lot of work with Dr. Nicki and has done a lot of work with Math Running Records out in the schools, so she’s like my second go to person about Math Running Records. Christina: I’m going to plug your Facebook Group here, for anybody who does Facebook and likes to be part of Facebook Groups, Ann Elise has a Math Running Records Facebook Group, so if you just go to Facebook and type in ‘Math Running Records’ it will come up. We will also put a link to it in the show notes page, so if you go to BuildMathMinds.com/4, for episode four, just the number four behind BuildMathMinds.com/4, all the links will be there as well. If you’re driving right now, don’t do it, come there later, okay? Ann Elise: I just wanted to … As a support group, like I wanted a place for us to be able to have conversations with those of us who are doing them and just share ideas and resources because we’re all in this together and we don’t want to reinvent the wheel, so in the Facebook group I have shared videos of me explaining the protocols, I did a video on just what subtraction is because it’s its own beast, right? I created a padlet, which is a page where I’m able to share links to videos and materials. I’ve created some sets of flashcards which have the strategies on it to help encourage those, and we also have created a Google Drive folder and some people have been creating some materials for that so for each operation and within each strategy, we have a folder for concrete, pictorial, and abstract. Ann Elise: We’re building that library but it takes an army to do that and right now the addition folder is pretty chockfull of stuff but we’re moving on to subtraction because subtraction has got hardly anything and don’t even talk to me about division because that it way far away. But it’s not designed to be a selling place or anything so I don’t want anyone linking to teacher pay teacher things to buy, I want it to be a place where all of us no cost. I mean, it really would be helpful if people bought her book. Christina: To really understand it, yeah. Ann Elise: [inaudible] all the research in there, of all the reasons why. Some people have begun to tweak them and change the numbers but they don’t understand that it’s research based, like every number on there, there’s a reason why it’s on there and so the research is supporting that but that padlet really is a way for me to be able to share lots of resources as well. I think people discover the group and they’re like oh my gosh, it’s like a nirvana because there’s no cost to this, let’s just work together and help kids get better with their fluency. Ann Elise: I am an independent consultant and so I am … A lot of my work right now is going to schools and training people but it’s not easy to do, like I think it’s a thinking that elementary teaching is easy and I say all the time that there is nothing elementary about teaching elementary math. There’s so much sophistication and the more that I learn, the more again, I realize that I need to learn. 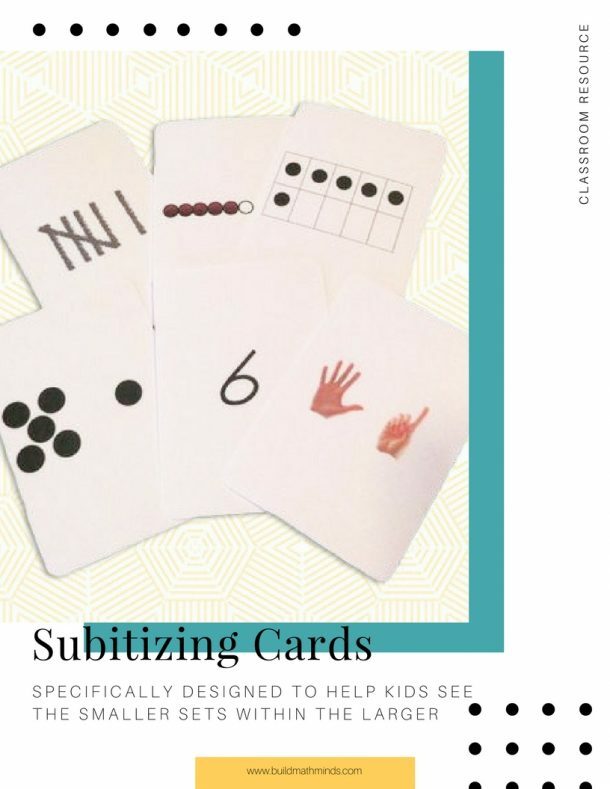 There are ten levels of subitizing, ten levels by Clements’ and Sarama’s research. There are twenty levels of counting. Like who knew that? Christina: Counting seems so easy, you just get kids to count. Ann Elise: Yeah, like one plus one is two. Ann Elise: But oh my gosh, to really base it in research and how kids learn and grow and how we can assist them and be aware of all those intricacies, it’s life changing because it empowers educators to understand and to be able to look out for these things to help the kids. You know, it’s not like oh, these kids can learn math and those kids are my bright kids. I hear that a lot. I’ll hear people say well, he’s a red kid, he’s always going to be a red kid. Ann Elise: Really? He’s in first grade. How are we locking this child in to being a struggling learner his whole life when he’s in first grade? Like we’ve got to do better. 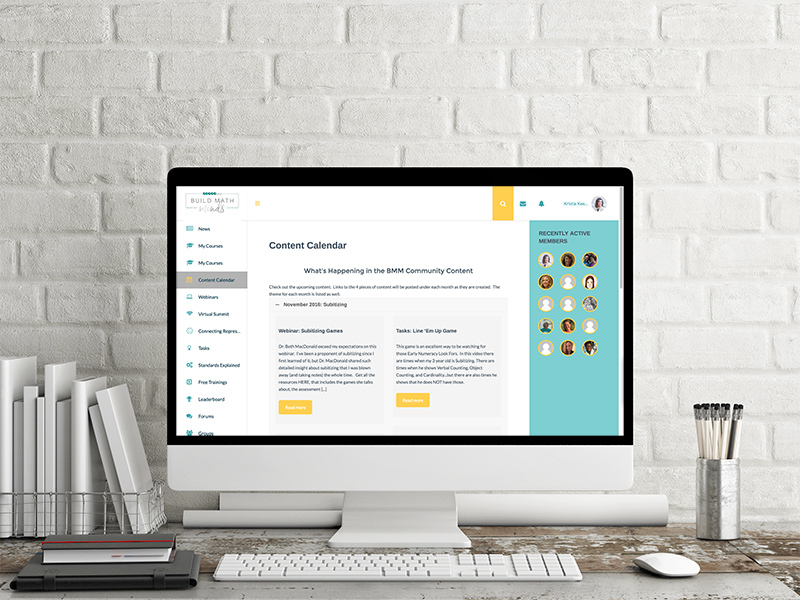 Ann Elise: I have found that Math Running Records has been a life changing thing and also to get the data discussions going in my schools. When I was the math coach, I was in data meetings and they’d ask … [inaudible] K-2, which was new to me, I had not learned how to teach early kids math so being in the data meetings I would hear so much specific talk about the early literacy skills, even like words I hadn’t heard like phoning, sag, and all those different particulars, and then they’d ask the teachers well, how are they doing in math? I was like, okay or good but there was no specificity to the discussion. Ann Elise: By doing a Running Records with everyone and getting that ingrained, they would give it three times a year to every kid, the discussions have changed dramatically. This is between the parent educators, the teachers, the specialists, like the conversation we can have is so much more rich to what the kids’ skills are and how we can move them forward, how can we develop that instructional response. Yeah, I’m very passionate about them because I really feel that they’re the key to changing and creating a foundation of math for our kids that will last them. I don’t mean to be dramatic, but it’s true. It’ll last them their lives. Christina: It does, it really does. It seems so, like you said, elementary and simple and basic, people say basic all the time, basic facts, but they’re not basic. The way that kids learn those impacts the way that they learn a lot of mathematics. Christina: I like to end usually on what one thing that you suggest teachers try if they’re trying to make a change in their teaching. I think I can guess what it is. Ann Elise: It’s word problem types, Christina. It’s the adding and subtracting word … No, I’m kidding, but that’s really important too but I think that the beginning piece is the Math Running Records, I really do because so much of our content standards deal with computational skills and doing it with place value strategies and things. I think the basis of that Math Running Records is such a key. Yeah, it definitely is. Christina: Absolutely. Okay, so again, I will direct people over to the show notes if you need links to any of the information that we talked about today, including Dr. Nicki’s Math Running Records book and the Facebook Group that Ann Elise Record runs around the Math Running Records. Again, that’s BuildMathMinds.com/4. Thank you, Ann Elise, very much for sharing your journey. Christina: We really appreciate it. I hope that this has inspired some people to get out there to find a way to change and specifically, a way to change the way that we are doing timed tests for those basic math facts. 10 levels of subitizing and 20 levels of counting..wow who knew?!!. I could do this job for every.. teaching elementary math. Great ideas on RR. I really want to dive in and understand it at a deeper level. Thank you! I am not a Facebook person. Is there a way to access Ann Elise Record’s Math Running Record items NOT through Facebook?